Peyton on her way to see her father play a baseball game. 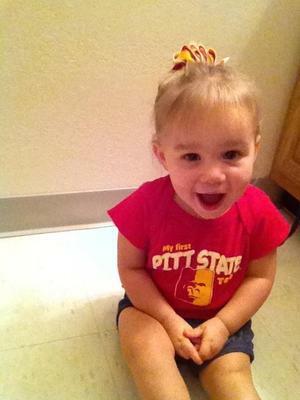 Peyton is a very active and happy little girl that enjoys watching her father play baseball games. Peyton is very loving and enjoys the outdoors. She also loves to take care of her own baby dolls, treating them with love and passion. Peyton loves when I, her mother, plays with her hair and her favorite part of the day is taking pictures of herself.